Why Is The 30 Gallon Fish Tank Popular and Is It WORTH It? Getting a 29 to 30 gallon fish tank fish tank is a great option for fish lovers who want to keep several shoals of fish in a healthy community aquarium. 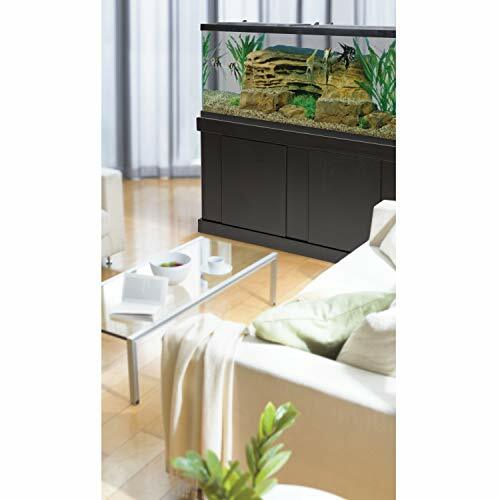 This is a medium-sized fish tank and ideal for a home with small tropical fish’s. Or ideal if you have 5 different fish specimens and want them to swim together. A long rectangular fish tank is good for both ventilation and oxygenation. Like us humans, fish need a lot of clean water and filters can be useful here. 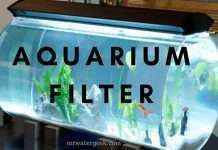 However, as there is less room in the aquarium, adding a filter can be daunting. For this reason, long aquariums are the best choice because they have plenty of room to add filters and promote ventilation and oxygenation. This article will give you a quick 30 gallon fish tank buying guide and consumer report. 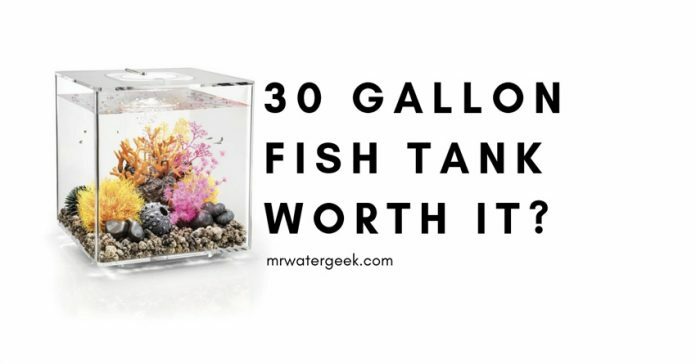 I’ll list some of the best 29 to 30 gallon fish tanks that come in all shapes and sizes. Large Fish Tank Vs Small Fish Tank: Which Is Easier To Maintain? Why Buy a 20 – 30 Gallon Fish Tank? Glass or Acrylic Fish Tank? What’s The Best Shape For A Fish Tank? Why is The 30 Gallon Fish Tank So Popular? Fish tanks can be purchased in various sizes. You can get them from small bowls to extremely large 200 gallon fish tanks. However, you want to buy a tank that is the right size for your room and you want to make sure you have enough space for it. This is a rookie move but there are still many people that don’t check the 30 gallon fish tank dimensions and measurements before they buy. The following sections will suggest and highlight what you should consider before you buy any size of gallon fish tank. This fish tank buying guide is based on the most credible consumer reports and verified customer reviews. Most beginners are more likely to buy a small fish tank. This could be a small bowl like a basic 5-gallon fish bowl or even small tanks that come in 3, 2, 1, 1/2 gallon sizes. Both aquariums and bowls are very easy to carry anywhere and change the water. The small size makes it easy for daily maintenance. Also, small tanks are usually associated with lower costs. 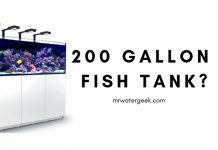 Large 200 gallon fish tanks can actually mean less time cleaning and changing water for it to function properly. This might sound counter intuitive but the truth is that small tanks are more difficult to change than larger ones. Yes, they are likely to be more expensive to install at the beginning and maintain. In the long term, however, maintenance costs are lower than for a smaller tank. 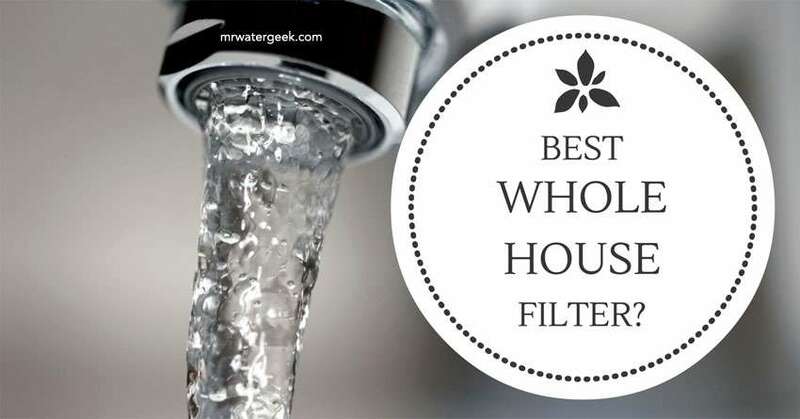 The reason is that the filter systems are better and there are more technical features that keep the water clean, meaning fewer changes are necessary. Bottom line: the bigger the tank, the less maintenance is required because bigger tanks have more technical features that reduce the need for maintenance. Although larger tanks can be easier to maintain over the long term, smaller ones are better for beginners. Fish tank sizes between 20 and 30 gallons can sometimes require more work to balance the water but easy to populate. My suggestion is always to start with at least a 30 gallon fish tank instead of a small fish bowl. A 30 gallon fish tank means you can hold various species of beautiful fish that can not live in tiny bowls. This includes species like goldfish, sword tails, mollies, zebra danios and blue rams as they need a medium sized fish tank. If you want some shoals of fish, then you should consider a larger 200 gallon fish tank. The biggest difference between them both is that glass fish tanks are heavier than acrylic. However, they are also generally much cheaper. 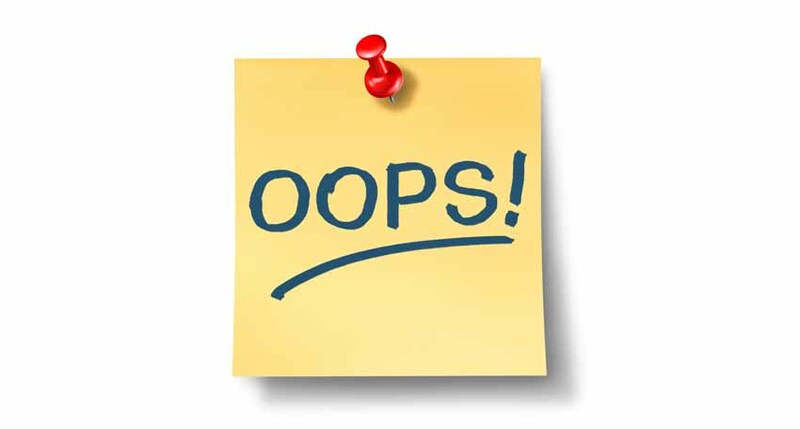 From time to time leakages occur when using acrylic. This is normally and can usually be easily remedied with silicone sealant. Another thing to note about acrylic aquariums is that they come in different shapes, however, they scratch a lot easier. Also note that acrylic fish tanks are rarely filtered. This is because they consist of one piece without seams. Although they are more expensive than glass aquariums, they last longer and scratches are superficial. Note that Scratches do not affect the way it functions – just the way it appears. 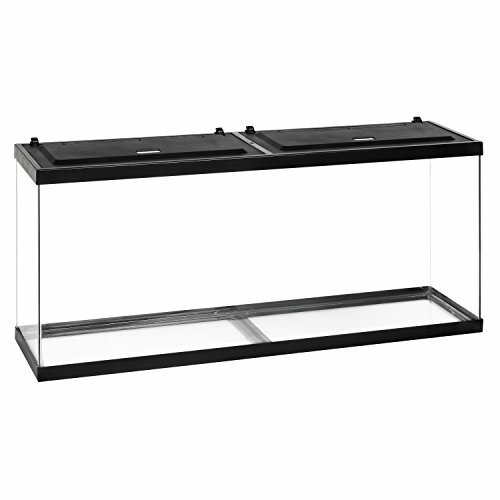 Yes, it’s true that you can buy acrylic tanks in a variety of shapes. Everything from circle, cylindrical, hexagonal to the more traditional rectangle shapes. The traditional long rectangular shape is probably the best. I recommend a rectangle shape because of its large surface area. Especially when compared to the water volume. The result is that it allows the maximum gas exchange with the air. 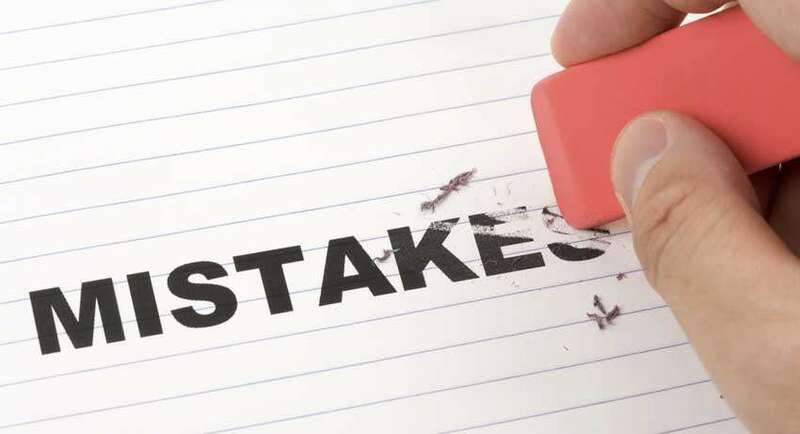 Other shapes with smaller surfaces may need more maintenance and more frequent water changes. A rectangle fish tank is much easier to maintain. 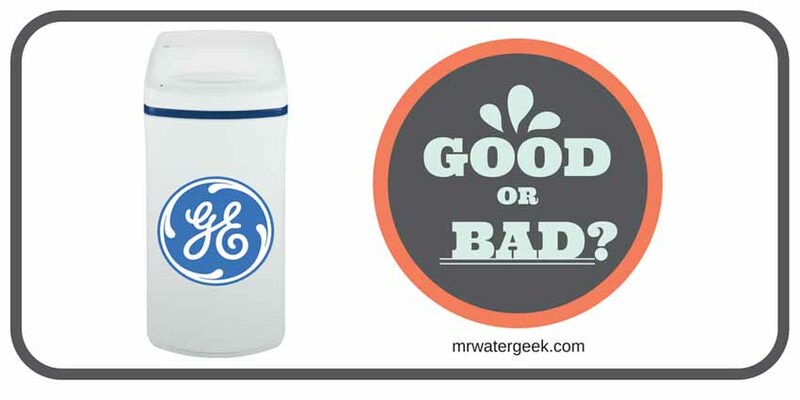 It allows you to contain more fish and it’s easier to maintain water quality. One of the best selling points of the SeaClear is its nearly invisible seams. It’s backed by the industry’s most comprehensive warranty. This makes it ideal for the most demanding aquarist. Combination fish tank. This means the aquarium, the reflector and the electric lamp of 24″ are all included. It’s acrylic which means that it’s lighter than glass tank alternatives. Acrylic is 17 times stronger than glass yet nowhere as heavy as glass. Shockproof. This means that it’s less prone to flaking and tearing than glass is. The fact that it’s not glass means that it’s safer for children and pets. 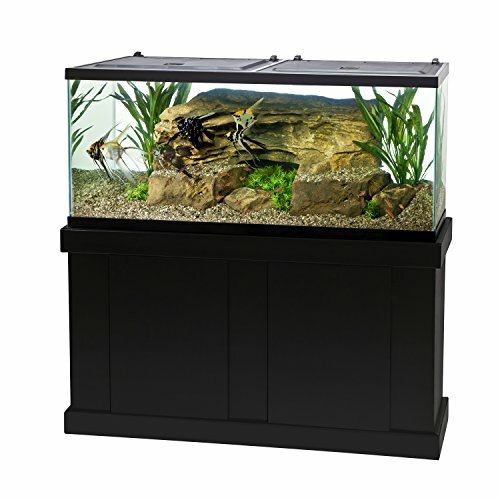 When it comes to fish tanks, getting a 30 gallon fish tank is a great starter option. 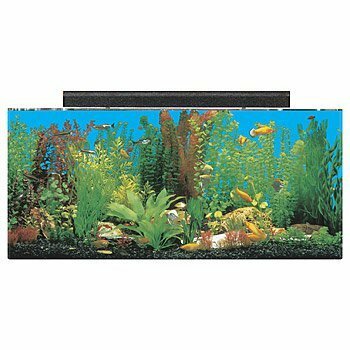 While there are many types of fish tanks available in different shapes, sizes and orientations, a long rectangular fish tank is the best of them all. 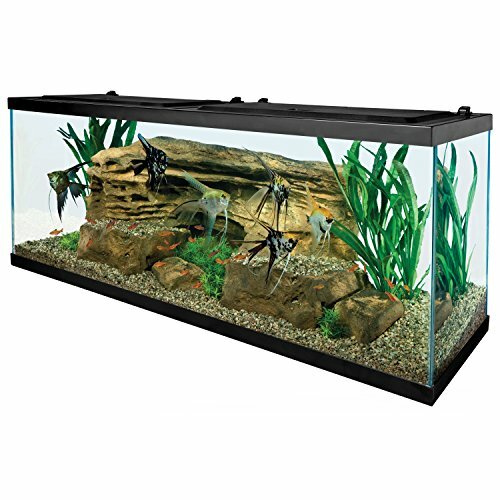 There are several reasons why 30 gallon rectangular fish tanks are so popular. The first advantage is that long aquariums have a longer and bigger surface area. The larger surface area, the happier the fish are. This is also the space that is mainly used for decorating and adding filters. Therefore, long aquariums can be decorated very well, as they offer more space for extra items you want to add. Another advantage of a long rectangular 30 gallon aquarium is that there is more room for fish. In smaller tanks, only certain fish can be housed, while you can safely put a variety of fish in a long tank. Just remember that some fish grow very fast and you might want to buy a larger 200 gallon fish tank instead. This will save you the cost and hassle of future upgrades. 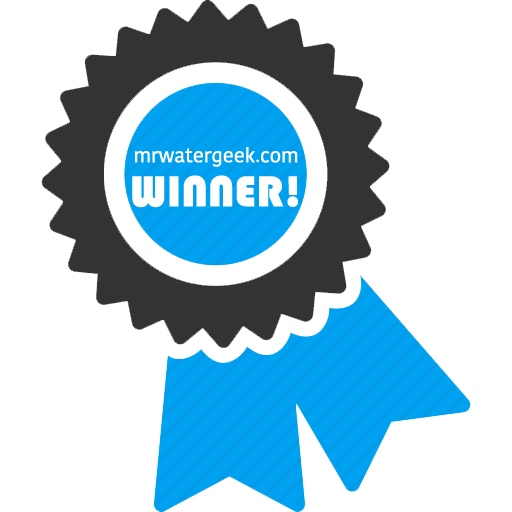 Previous articleIs The Most Advanced Faucet Water Filter Really WORTH It?